Our top 10 books on how to generate architectural concepts and how to turn them into meaningful architecture designs. 01 - Number one on our list, this book is undoubtedly one of the best resources for demonstrating how to generate a concept & form from a sites context & environment. Through analysis, drawings and diagrams each project is broken down and rationalised to reveal exactly how each design was generated. 02 - This is part of an excellent series of architectural concept books, that offers a whole host of examples and rules on how to expand, lift, twist, connect and embed simple spacial forms to generate compositions for architectural design concepts. The methods described are translated through clear and simple diagrams and architectural applications. 03 - The sequel to Operative Design, this architectural design book offers the next level to developing an architectural concept, by exploring how the conceptual massing forms and volumes relate to each other, through placement, scale, connection, and light. Which is most strongly influenced by site analysis. 04 - This book demonstrates how Bjarke Ingles presents his design concepts through clear and simple explanations. It provides an excellent example and great source of inspiration on how to clearing and simply explain a projects concept and design by using uncomplicated explanations and architectural diagrams. 05 -Through its clear methodology of architectural design analysis this book provides an excellent explanation of how architectural concept strategies are developed and implemented. Using many historical references it reveals the underlying organisation of buildings, and makes sense of there meaning through line drawings and text. 06 - This book describes and unveils the architectural concept and design process in easy to understand stages. Aimed at architectural students, it describes design methods showing the reader how to generate an architectural design concept, use different materials, compile volumes, and how to organise them spatial to a form a floor plan. 07 - Aimed at architecture students, Analysing Architecture offers a clear and accessible insight into the underlying strategies behind architectural design, exploring the various architectural elements and spatial organisation strategies required to develop design concepts with depth. 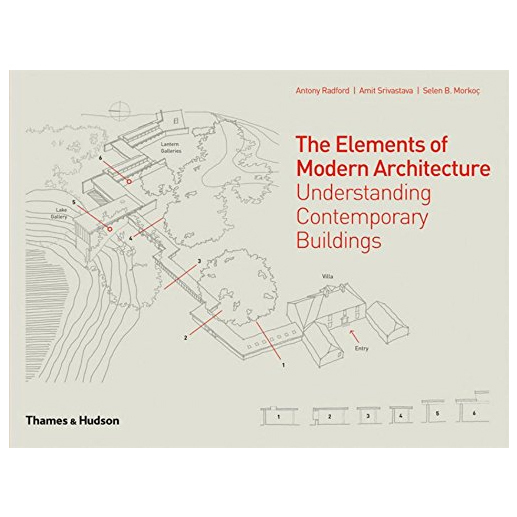 08 - This book targets rising students and architects who seek to understand the principles of meaningful and enduring architecture. It analysis's fifty buildings, starting from the site, through to surroundings, use of natural light, volumes and massing; programme and circulation; details, fenestration and ornamentation, going straight into the mind of the architect. 09 - The perfect starting point for any student of architecture this book offers an open-ended library of building forms that are free from the constraints of site, program, and budget. Including architectural ideas such as structural parasites, chain link towers and ball bearing floors, many of which may require construction techniques yet to be developed. Visual ideas for the architectural imagination. 10 - This is an excellent introduction into the basic vocabulary of architectural design that examines how form and space are ordered in the built environment. It includes sections on circulation, light, views, and site context, with contemporary examples of form, space, and order that encourage and promote a deeper understanding of architecture.